It's no secret that my flea market finds have been slowly dwindling over the past few years. Not 100% sure if that's because product is drying up or if competition is picking up. Either way, I don't go out there with very high expectations anymore. Two weekends ago... my buddy Mike and I went out to the De Anza Flea Market which takes place on the first Saturday of the month. My goal? To get some steps in, breathe in some fresh air, and maybe... just maybe... add some new vinyl to my collection. Unfortunately it fell on Labor Day weekend, so half of the place was empty. I found about six to eight vendors with records, but either their prices were too high or they didn't have what I was looking for. There were the usual guys with sports cards with the same stuff they always bring out. I hung out and window shopped. Then we came across a couple who had been in the trading card business for over two decades. They were selling most of their inventory for pretty ridiculous prices. Since all of my purchases came from them, I figured I'd change the format a little and break it down into parts instead. There isn't anything too mind blowing here, but if you enjoy cheap 90's junk then this is the post for you. Haven't had the time to really dive into this box, but it had a huge stack of early 80's Fleer baseball stickers which caught my attention. I figured those alone covered the ten dollar price tag. 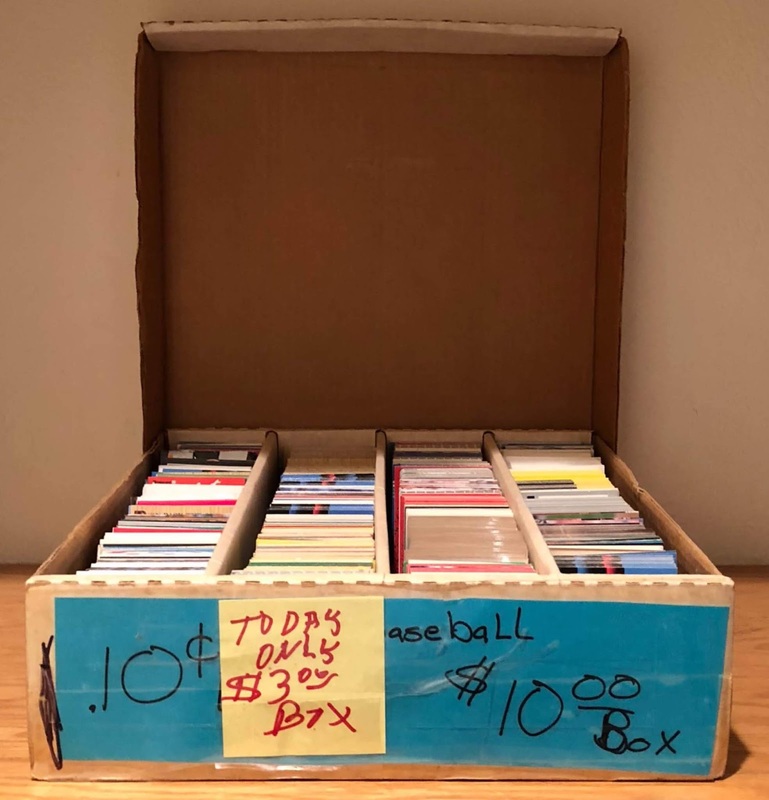 Mark the entire box down to three bucks? Yeah. I'll buy that. A few years ago, I was actually looking for this 1988 Star Durham Bulls team set with Kevin Costner. A buck each? Yeah. I'll buy that. Nine out for the thirty-three cards are Oakland Athletics. I couldn't pass this set up. Did I mention that these sets were 2 for 25¢? Yeah. I'll buy that. When I saw this set sitting on their table, I realized that this couple set up last summer. I purchased some packs of this product off of them and attempted to build this set. This complete set came with a bunch of duplicates, so there a chance this purchase leaves me with two complete sets. By the way, ignore that $5 price tag. All of their completed sets were 75% off the lowest price. $1.25 for a complete set that sold for $49.99 on eBay less than a month ago? Yeah. I'll buy that. If you enjoy rock bands like The Rolling Stones, The Police, U2, or AC/DC... then you might appreciate this set. I purchased some unopened packs of this stuff back in 2014 and built a set. Another set for $2.50? Yeah. I'll buy that. Topps Star Wars cards were my jam back in the day, but I had stopped collecting them and focused my attention on baseball cards by 1983. 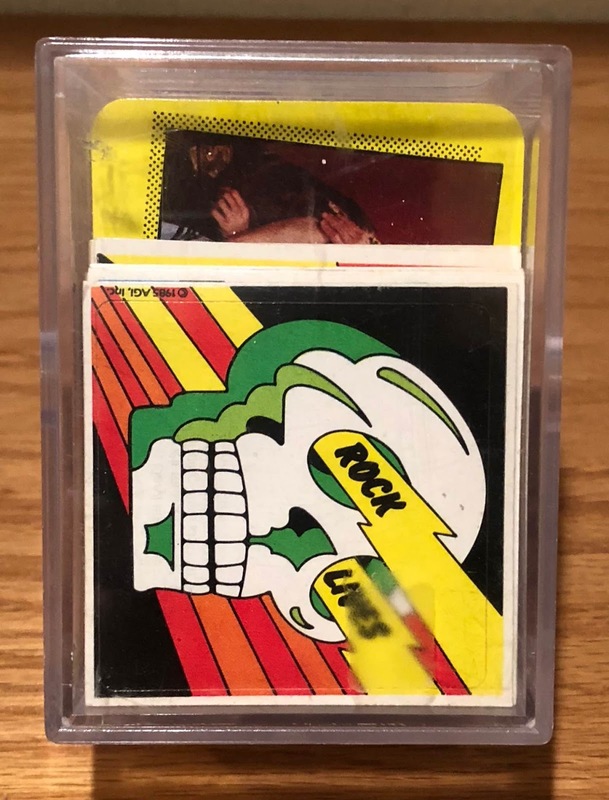 So finding a set of cards that I should have collected thirty-five years ago, but I didn't for the price of a small latte at Starbucks? Yeah. I'll buy that. Collectors these days seem divided when it comes to parallels. Some embrace them, while others despise them. Back in the 90's, they were the latest and greatest thing. A box of Star Wars 1st Day Production parallels for less than a nickle each? Yeah. I'll buy that. 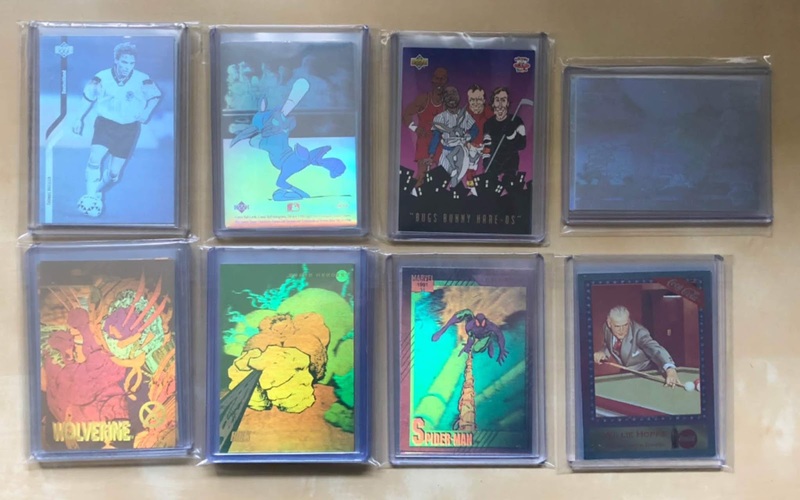 Parallels were hot in the 90's, but holograms and etched foil cards were too. You're looking at the final eleven sets I purchased. Less than a $1.25 for each of these sets? Yeah. I'll buy that. A bunch of stuff from the Junk Wax Era? Yeah. But if the price is right. I'll buy that. I'm thinking about using some of the items in this post as part of a little cardboard flipping experiment. As soon as I nail down the details, I'll fill you in. Do you ever buy stuff because it's too cheap to pass up? Yes, I do buy cards that I do not necessarily need or want because of the price tag on them. My downfall are the dime boxes; find way too many cards that I want or decide to start a new collection. 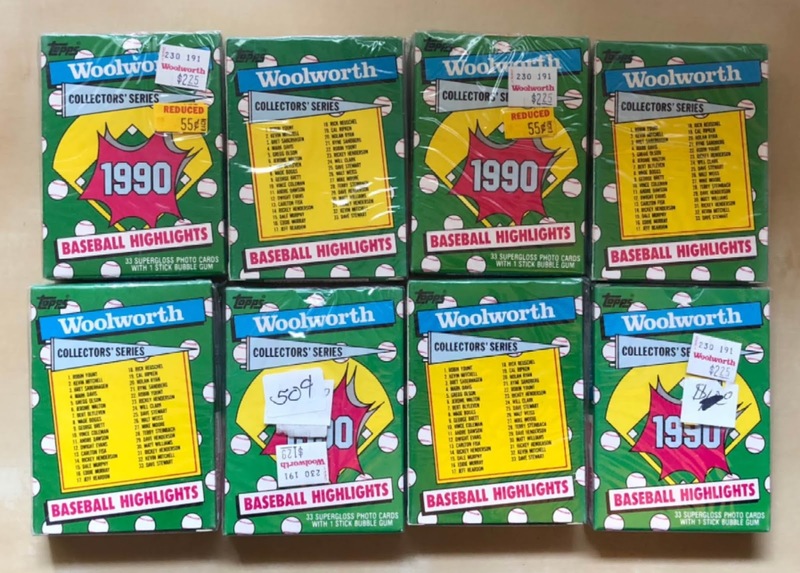 Awesome deal on those Woolworth sets! Any chance you would trade one to me? I am slowly building a collection of thise little sets of the 80s and early 90s. Wow, great deal on the Parkies set! Awesome. 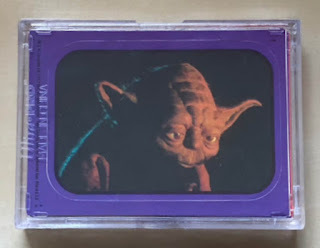 That Return of the Jedi set brought back a lot of memories of those cards. Thanks for sharing. 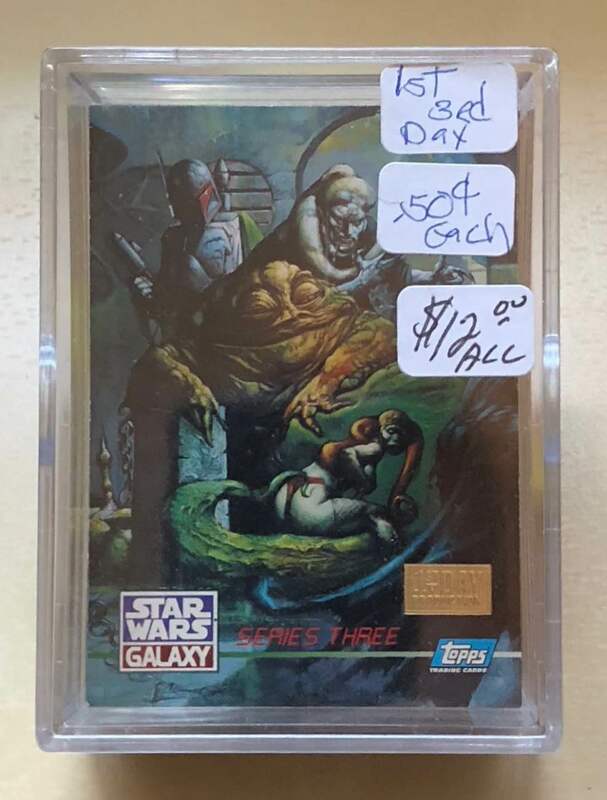 I totally would have bit on that $3 box of 3,500 cards. I wouldn't even care if it was stocked full of '88 Topps, '90 Donruss and '91 Fleer, which I think it is. Awesome stuff Fuji! Those Star Wars parallels are particularly awesome! Holy wow. Yeah it would've been irresponsible not to buy any of those. I need to go look up the checklist for that 1p94 World Cup set now. 1994. Not sure how I typed p once instead of 9. Holy cow. I love the Woolworth Sets. We were all going to retire off of buying those back in the day supposedly. What a great haul! Those Woolworth sets are sweet! I do this all time, even with cards I have. For example, if I see a Tino Donruss Crusade listed for $10, I have to buy it. I did this recently at the thrift sale when I saw two Eddie Murray stadium giveaway statues for $1 each. I have no use for them but couldn't leave them there. I used to be a lot worse with buying stuff simply because it's cheap, but I've gotten better with it as of late. Though that doesn't mean I still fall victim to it every once in a while (and I certainly would've bought that huge box you found for $3!). Wow - Parkhurst Missing Link for $1.25. That's more than amazing for that set. 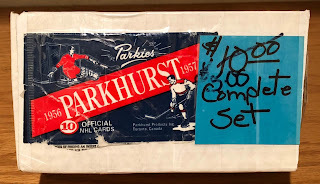 It was one of the 3 retro sets that early 90's Parkhurst put out. If you have a duplicate of a Howe or Hull in there you've made your money back with just one card. But to get an entire set. Probably not but you'll further luck out if any of the inserts or mail in cards are included in the box. Congrats on a great find. Regarding your question, I used to have a hard time passing up toys (Transformers, Star Wars, Star Trek) on clearance, especially when the clearance is 50% off or more. These days, I still kinda do, but no money resolves that dilemma pretty easily. All excellent finds. I'm confused as to why you'd buy 8 of the same Woolworth sets, but perhaps you're teasing us with the reference to a flipping experiment. Looking forward to seeing what you got in the monster box! Love the hologram sets and the Hare-OS set. The Parkies are nice too! I don't really buy stuff because it's so cheap. I try to stay focus and think about all the stuff in my house I need to trade or sell already. Let the next guy get the deal - and you're a good next guy to get those deals. If you're up for trading, I'm eyeing up those comic ball holograms. When an offer is to good to refuse I accept said offer without question. tshenson - sure. i'll set one aside for you. hackenbush - yeah, i was stoked about that one. i'll be even happier if the doubles helps me complete my other set. p-town tom - still haven't even opened the box. i really, really, really hope it isn't filled with that crap. big tone - i know, right? what the heck? McGwire too. 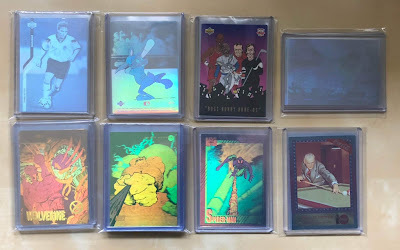 shoeboxlegends - had no idea what these were, but some of the artwork is fantastic. nick vossbrink - i remember seeing it back in the day, but i didn't open up any of that stuff. didn't start appreciating soccer until the late 90's. sumomenkoman - lol. i'll set one aside for you as well. captkirk42 - gotta admit... that box will probably get tossed after i'm done sorting the cards. it's seen better days. matt - thanks. i'm excited to pop one open and review it. nick - i think i've gotten better too. not much. but a little better. jafronius - i had the same issue with kenner slugs back in the day. as for the woolworth sets, i just couldn't pass them up for 13¢ each. worst case scenario i flip them or put the singles in a dime box. anonymous #2 - yeah, holograms and i go way back. xavier higgins - i actually need the holograms for the master set i'm building. i'm trying to complete all of the comic ball series and their holograms... then throw it into a binder, so i can stare at it all day. 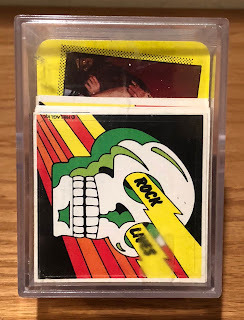 Strike knocked me out of card collecting. Attending the 94 World Cup sort of solidified my soccer fandom. So it's a weird accident of timing that I never got into soccer cards. I'm thinking I should go through that 94 Upper Deck World Cup set and get cards of the guys I remember. I'm sure singles are pretty affordable these days. You might want to check Sportlots. They have lots of singles for 18¢ each. Durham Bulls cards!!! Kent Merker has a card in there, so does Buddy Bailey. He started off that year as the Bulls manager, but was replaced by Grady Little. Bailey still manages though, just crossed the 2,000 win mark last year while he was managing the Myrtle Beach Pelicans, Cubs Carolina League team. Nice little set of cards. Hadn't heard of Bailey, but 2k wins is damn impressive.